Oh my goodness this is beautiful- I love the picture, the background paper, and the flowers. Thanks for joining us this week at Sketches In Thyme. Stunning page. I love the flowers and that pink butterfly! Your photo is really stands out ont this gorgeous paper! Thanks for joining us at Sketches in Thyme Thursday Takes! This is gorgeous... love how you did the big circle!!! Thanks for sharing with us at Sketches in Thyme!! Beautiful!!! Love the butterfly and flowers!! Thanks for playing along with us over at Sketches In Thyme!! Hugs!! This is so beautiful. I love the photo and all your details. Such a beautiful picture and a lovely layout! I love the two hearts and the spray of flowers! Thanks for joining us at Sketches In Thyme! Fab layout! I just love your take on the sketch! Thank you for playing with us at Sketches In Thyme! gorgeous LO! 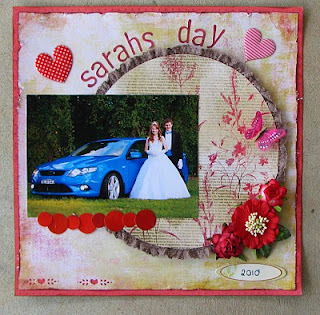 love the colors and papers you used and what a lovely photo. thanks for playing with us at Sketches in Thyme.